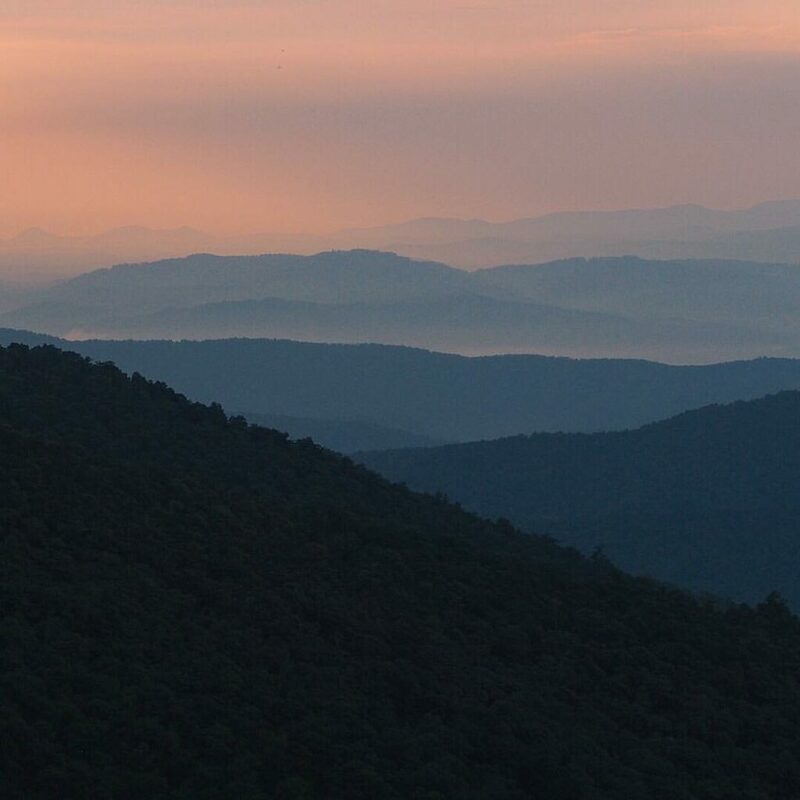 The Blue Ridge Mountains are blue at dawn and dusk, a result of the nearly invisible breath of thousands of trees. Looking at a photo like this, it could be either time of day, since there is a convergence of light and atmosphere when the sun rises and sets. But for me, they feel dramatically different. A sunrise is like drinking a cup of coffee, energizing me for the day to come. Even if I get up early with too little sleep to capture sunrises like this, the spreading of light gives me an inspiration to explore the day. Somehow, the same sky in the evening is more like having a cup of chamomile tea. Sometimes my photographic day is extended, taking pictures of fireflies, the stars, and moon. But at sunset, being largely a diurnal photographer, I feel soothed by the fading light. Whether a day or night person, I think we all appreciate the beginning and end of days. Some people may be going to bed to the same dawn that marks the beginning of my day. But everyone can enjoy the ephemeral beauty of rapidly changing colors nature provides twice a day to everyone who stops to look, wherever they may be. More than ever we should give ourselves the luxury of looking away from the flicker of our screens to watch the twice daily totally free sky show.